All the latest news from The Beechworth Chain Gang. Parking space is limited at the race site so if possible please ride out from your accommodation to avoid congestion. 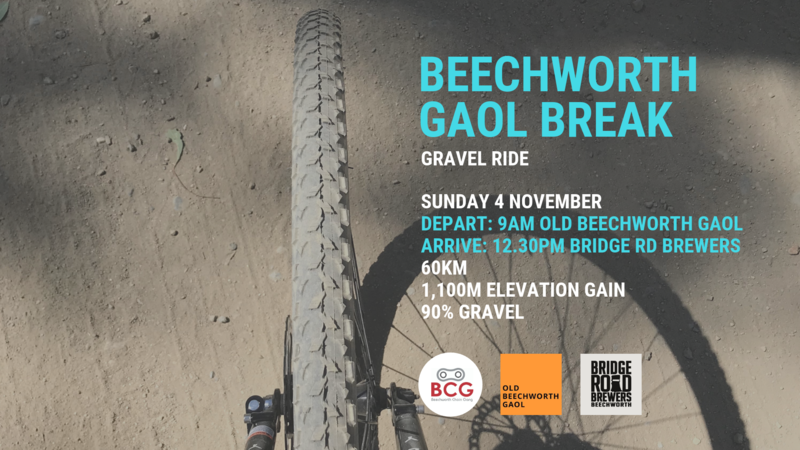 NOTE BEECHWORTH MOUNTAIN BIKE PARK WILL BE CLOSED TO GENERAL (NON RACE) USE ON THE DAY. SPECTATORS WELCOME. These are indicative times and the number of laps will be subject to change based on weather and course conditions. This entry was posted in News, Uncategorized on October 16, 2018 by bcg. This entry was posted in News on October 11, 2018 by bcg. *Apologies to Jordan Riddle who should have been awarded first place in the Solo Sport Male category. This entry was posted in News, Uncategorized on May 8, 2018 by bcg. This entry was posted in News, Uncategorized on February 16, 2018 by bcg. This entry was posted in News on June 5, 2017 by ScoutStudio. 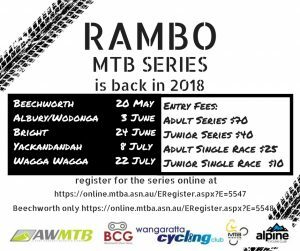 BCG will be hosting round 1 of the 2017 RAMBO Series on Sunday May 21st at the Beechworth Mountain Bike Park. This entry was posted in News on April 18, 2017 by ScoutStudio. The club will be running a working bee and 2017 Junior Ride Program registration session on the morning of Sunday 5th of February at the Beechworth MTB Park. This will be followed by a BBQ and then some shuttled riding on a few of the descending trails including the brand new “Don’t be a Hero” all mountain track. The working bee will run from 9am to 12pm and will be focused on cutting grass and trimming branches so bring along your whipper snippers, tree loppers, secateurs ect if you have them. If not there should be plenty of club tools to go around. The Junior Ride Program registration will be on from 10am to 12pm in the carpark. Kids are encouraged to bring their bikes along for a ride (this is not part of the Junior Program and will be unsupervised). The club will put on a BBQ from 12pm for all participants of the working bee and junior registration. Basics will be supplied by the club so please RSVP so we can take care of supplies. After lunch will be your chance to ride lap of the Park or organise yourself a shuttle vehicle and spend the afternoon blasting down Secret Track, Snakes n Ladders, Shortcourse DH or Don’t be a Hero. If you are unable to organise your own vehicle you may be able to hop in with another group. Contact the club via email with any questions. This entry was posted in News on January 27, 2017 by ScoutStudio. 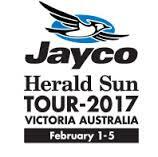 On Friday 3rd February the Jayco Herald-Sun Tour will finish in Beechworth. This is an amazing chance to come along and see the best cyclists in the world do their thing. The race will include Chris Froome (multiple winner of the Tour de France), Esteban Chaves (2nd Giro Italia) and Simon Gerrans (multiple stage winner in all grand tours) amongst others. 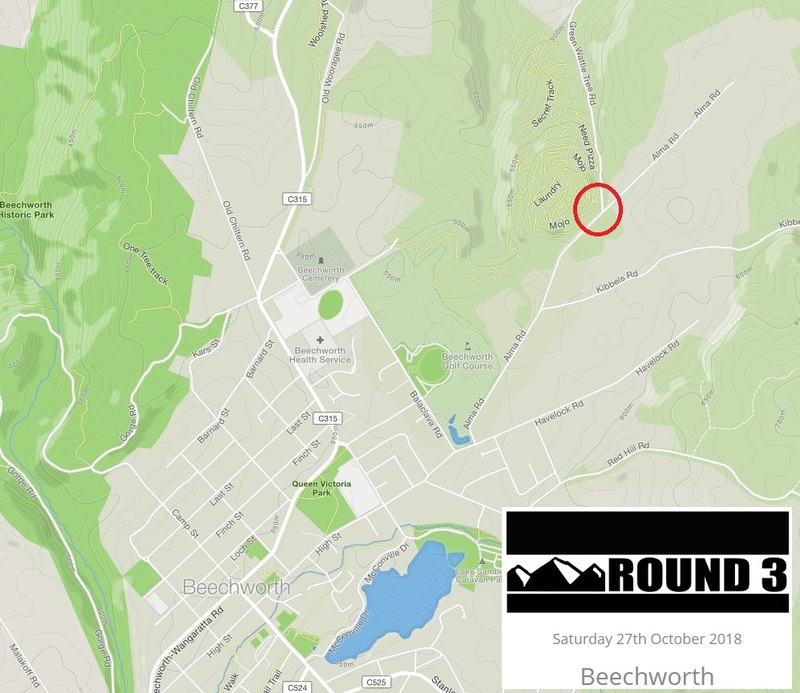 The organisers have kindly offered to maintain the street closure and to cover the insurance for a series of community cycling races in Beechworth as part of the festivities. 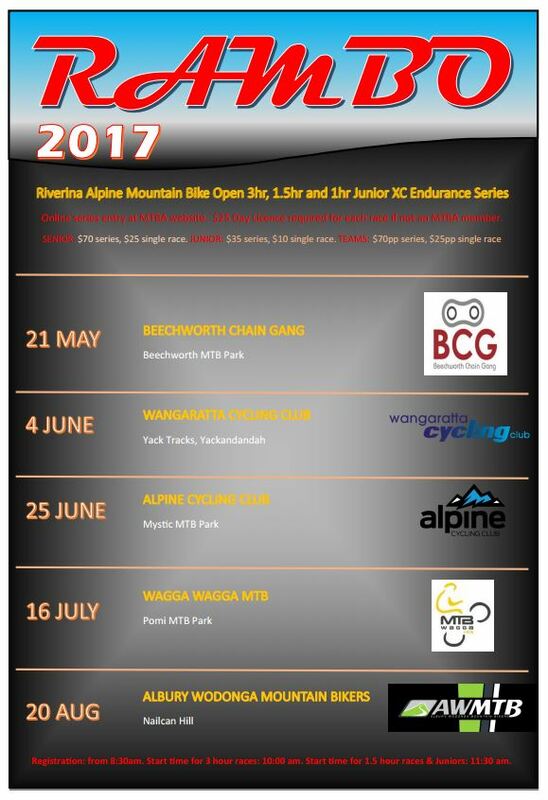 The Beechworth Chain gang will be hosting three races on the afternoon of the 3rd February and we would love to see everyone there. The race format will be a street criterium from the bakery to the Myrtleford Rd turnoff and back. Each race will run for a different number of laps of the course. It is designed to be a bit of fun so come along and get involved. Depending on numbers we may run two categories in the adult races. A decision will be made on the day. To register for this FREE event please enter via the attached link. A registration area will be set up on the day and everyone that is racing will need to sign in, and for the kids, a parent or guardian will be required to sign them in. Contact Clayton Neil at bicyclecj@gmail.com or 0417 116 571. This entry was posted in News, Uncategorized on January 23, 2017 by ScoutStudio. Our Junior Ride program is about to commence again for Term 4 2016. If you’re interested all the details are in the flyer below (click on the link to open the flyer). This entry was posted in News on October 10, 2016 by ScoutStudio.